Modern professionals are increasingly moving away from linear careers that fit neatly into yesterday’s rigid resume format. However, successfully carving a nontraditional path still requires a coherent strategy. 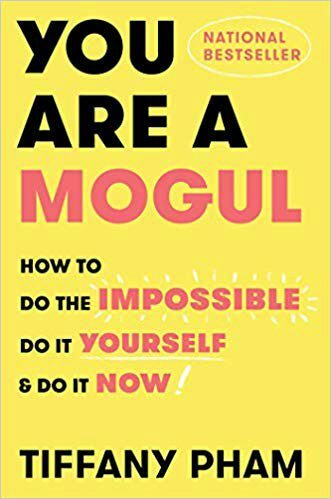 In this episode of Mastering Innovation on SiriusXM Channel 132, Business Radio Powered by The Wharton School, Tiffany Pham, founder and CEO of Mogul, and author of You Are a Mogul: How to Do the Impossible, Do It Yourself, and Do It Now, discusses how she built her skill sets and a career that landed her on a Forbes “30 Under 30” list, and how that led to her creating a platform where women could share career advice. 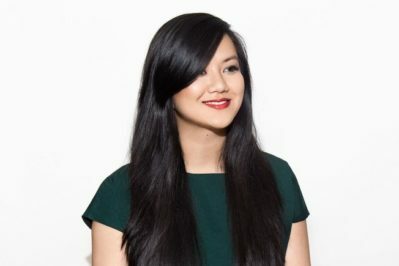 Pham taught herself to code and worked late nights to create that platform, Mogul, where women can connect and exchange ideas and, Pham says, “become the best versions of ourselves.” Pham advises people who are looking to build meaningful careers or businesses to follow their passion, risk failure, and learn from everyone along the way. Harbir Singh: In your own work you [note] the big importance of pursuing your passion. You also talk about people being stuck in linear careers and how you break out of that, right? You talk about how failures fuel us forward. Can you speak to those themes? Tiffany Pham: Yes, absolutely. Something I see as well with millennials is this desire to ultimately learn and realize that their career is not linear — as many of us grew up being told, and therefore early on in our careers ended up pursuing, a linear career. Increasingly many millennials — and I was doing this since I was a teenager so I was setting one of the trends on this — we realize that in fact it’s full of side alleys. That’s even more exciting to take than the path ahead, the main path ahead. In fact, I think it’s been really incredible to see that people are increasingly following what I advise, which is to think about their purpose, their passion, their wider skill sets they need to develop to get there. Those skill sets can be through a 9-to-5 role or it could be through side alleys along the way, such as side hustles, side jobs. Along the way, therefore, as you’re doing a lot of things, you always want to over deliver on it. You always want to make sure you don’t take on so much that you tip over the glass. You always want to make sure that you’re keeping that brim full but ultimately you’re doing really well in every single task, over delivering on it. Singh: So this is fascinating. Actually, just to pick up on one point you made, what you’re talking about really is people being very clear about what they want to do. Then what are the pathways there because what’s fascinating is, and we all know this, that when people try to look for jobs, they send their resumes into a company’s portal. Often there’s so many resumes that an algorithm goes through them, and gaps in the resume or unexpected turns often can be a liability. I think what you’re saying is that rather than playing to a linear path, people would be happier and may achieve more if they actually experiment with what they really like but work in a systematic way towards building skills. Pham: Absolutely, yes. It’s so wonderful when you can think ahead of what you want. Even if it’s just a broad idea, you can still be thinking about it and be flexible along the way to get there. That way, if you have a system for how to get there, which is by developing the skill sets and learning from a lot of people across each of these skill sets, then ultimately you’ll have worked backwards to ensure that you get there. Singh: So tell us about this, you have this idea of not being set back by failure, which I find fascinating because actually that’s at the heart of innovation. In your own experience, how have you rebounded from some failures? Pham: So my father, when I was little, always encouraged us to fail. He was always encouraging us to roll around in the mud, to run and fall, and every single time there were new activities, he would always encourage us to try and try and try and try everything and whichever we ended up liking, drop the things you didn’t like. We were used to, thanks to my dad, my father, we were always used to trying a lot of different things and letting go of the things that we were not good at, trying new things that we were good at, and even within those things, knowing that even if we were not succeeding, even if we were failing, that so long as we were learning, that was succeeding. Singh: But your transcript had to be good to get into Yale, right? You couldn’t have Cs and those kinds of things. I’m just being flippant here, but what you’re saying is that it is a very, very important point actually that children or young people have to learn to rebound from failure, right? Pham: Yeah, and of course, what I was describing more of was at least in my extracurricular activities, I was meaning more like in sports and in music and trying all these different things, and later that can translate more into career like side hustles, jobs, like doing all sorts of things. In terms of classes and grades, yes, that’s a little bit different. Singh: So tell us about the side hustle. I really like that phrase. Tell us about the side hustle. You’ve had multiple jobs. You said you even had five jobs. I cannot even do one. How do you do five jobs without people chasing you out? Pham: Well, you see, when I was little, again, I was using the system that I’ve just been talking about throughout this interview. Ultimately, I was contacting role models, telling them that I would love to contribute to their work. I was so excited to learn from them that I was willing to do free help. Any mundane task, give it to me, I would want to do it for them. So I did this at age 16. I wrote to someone who was one of the most prolific songwriters of our time, and she wrote back and said, “Are you sure?” I was like, “Yes.” So then she had me manage her website. That’s how I developed my first side hustle at age 16. Pham is a judge on the TLC show Girl Starter, produced by Al Roker, and co-host of the show Positive Pushback. She has spoken in Panama and Dubai, and at the United Nations, Microsoft, Bloomberg, AOL, Prudential, Harvard Business School, the Wharton School, Scripps Research Institute, Northeastern, Columbia, and SXSW. She is a graduate of Yale University and Harvard Business School. You can find more @tifftpham.